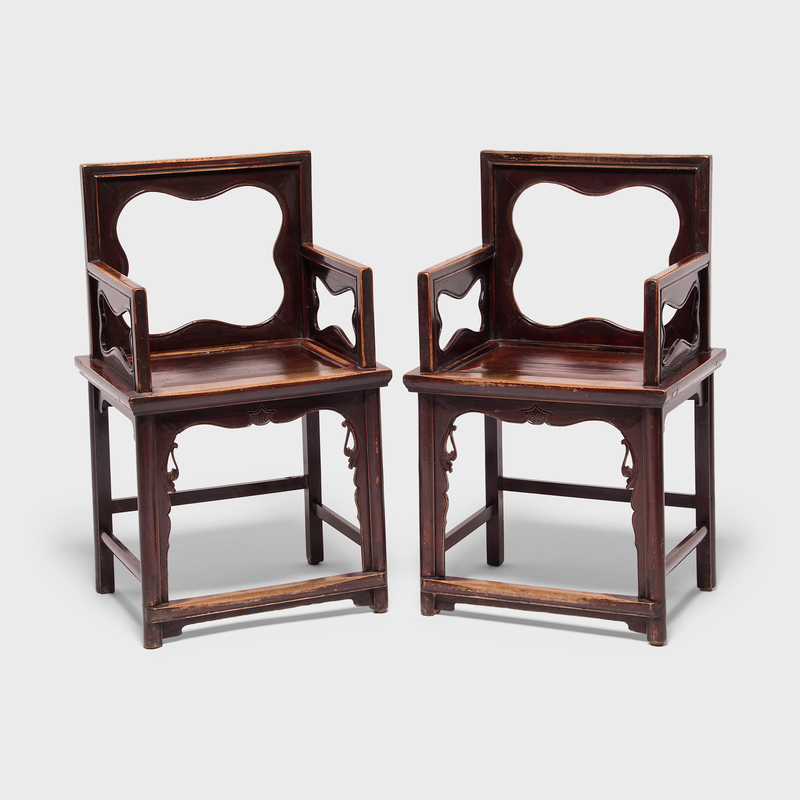 W: 24.0" D: 19.0" H: 47.75"
In the West, this type of chair is commonly called a "yokeback" chair because its top rail looks like a yoke for an oxe. 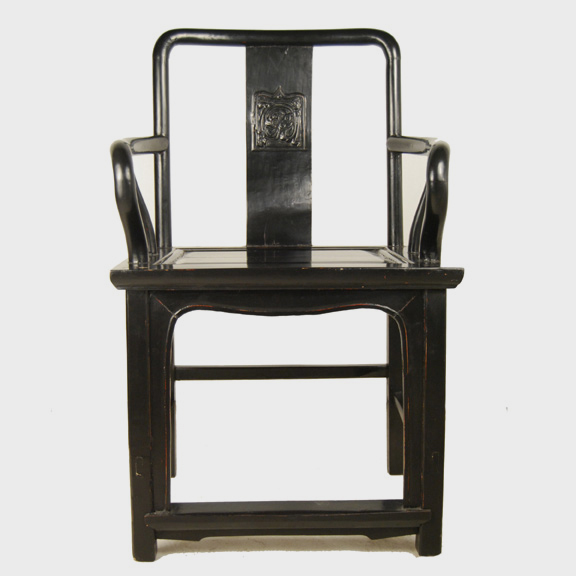 However, in China, the name translates to "lamp hanger" chair, describing how the form as a whole looks like an ancient oil lamp stand. 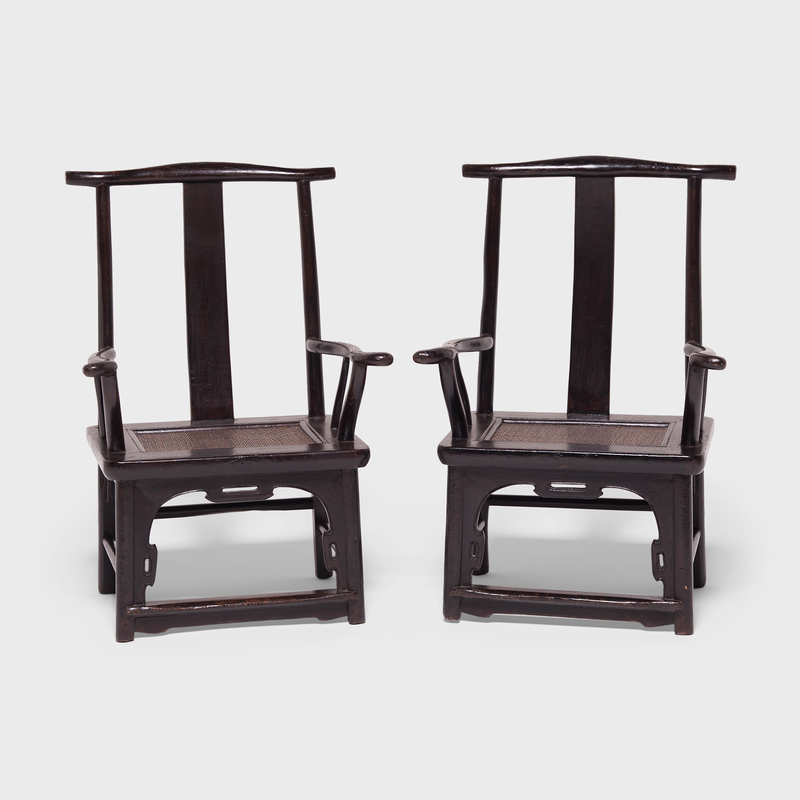 This pair of armchairs features curved back splats and iron strapping on the arms and crest rails. 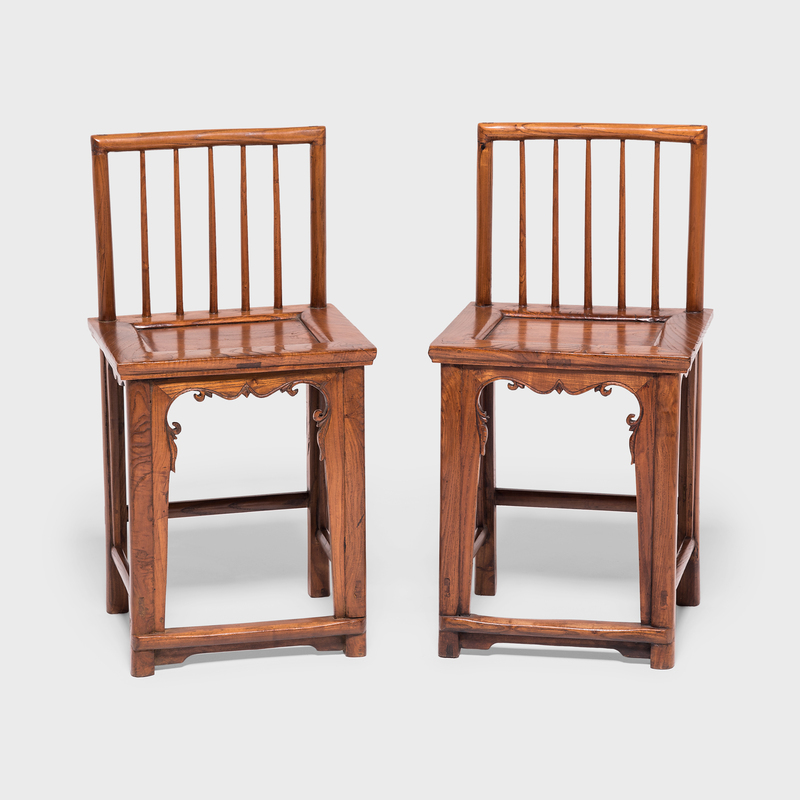 The smoothly worn and deeply patinated surfaces make this pair some of our very favorites and could only come to be with hundreds of years of use.